We design smarter ways to connect people and technology. We help organisations understand their current challenges and identify appropriate digital workplace initiatives to meet their needs. As Asia Pacific’s leading digital workplace consultancy, our thought leadership and experience enables us to develop strategic recommendations that fully integrate across all areas of the business, providing measurable benefits and sustainable work practices. Our independent consulting team helps design informed and effective ways to connect people through technology – in ways that are intuitive, compelling and future-proofed – by using authentic insights, tailored strategies and clever thinking. We apply our proven approaches and methodologies to projects and clients working across short, narrow research engagements through to large scale research projects that span the globe. Our team’s extensive combined expertise as researchers and designers allows us to develop deep contextual understanding and transferrable knowledge, and uncover actionable insights for recommendations and designs that are underpinned by useful data. We design and develop community strategies, provide community management capability development, and support organisations with community management mentoring for clients who are building and managing communities within the workplace, as well as amongst customers and partners. We apply community theory and best practices to achieve measurable outcomes, and work closely with an organisation’s community managers to help deliver value from their community efforts. We enable clients to develop smarter, simpler, and social learning landscapes that can achieve results more expensive controlled learning systems have failed to deliver. Our clients that incorporate social learning into their organisation’s learning & development structures generate powerful networks, where the transfer of knowledge and skills in traditional delivery modes become participatory environments through social interactions that empower employees to access the people, expertise and information they need, when they need it. We work with a range of technologies, led by the needs of our clients. We are the Jive Master Distributor for Asia Pacific, working with clients on proof of concepts, implementation and roll out, and beyond into ongoing digital workplace engagement and collaboration strategies. In our non-Jive work, we remain platform agnostic and always provide independent evaluation and recommendations based on the context and requirements of each situation. Our team have considerable cumulative experience working with a range of digital workplace and customer engagement platforms, tools and solutions enabling us to make informed decisions and recommendations for each project. 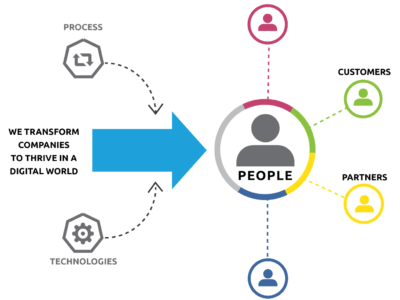 The Ripple Effect Group is an independent consulting team that designs smarter ways to connect people through technology so your employees and customers can benefit from authentic insights, tailored strategies and pragmatic, future-proofed business practices.